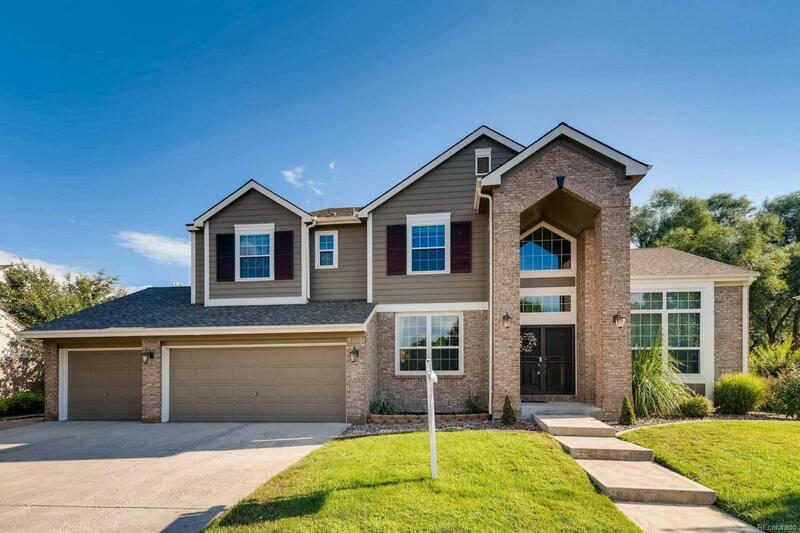 Attractive 2-story home in a highly sought after neighborhood. Backs to park, tennis courts, pool, and is close to middle and high school. Beautiful curb appeal, 3-car oversized garage, southern exposure. Custom quality finishes with many special features. Walkout, entertainer's dream basement with wet bar / fully equipped kitchen. All appliances stay including the kegerator. Large bedroom and full bath, ample storage, canned lights and crown molding. Main floor has a gas fireplace with custom stone surround, built-ins, crown molding on fireplace wall. Enjoy the Gourmet kitchen with a granite island, updated cabinets, gas cooktop, stainless appliances, lovely corner window above sink. Quaint breakfast nook with bay window. Office can be used as 5th bedroom. 2nd floor has a fabulous loft and 3 large bedrooms. New Shaw carpet April 2018 with transferable warranty. Large professionally landscaped yard with trex deck and concrete patio.